Labour MP Stella Creasy's complaint about Sainsbury's new 'Fairly Traded' mark and scheme, which the supermarket launched last year as an alternative to Fairtrade certification, has been partly upheld by the ad watchdog. 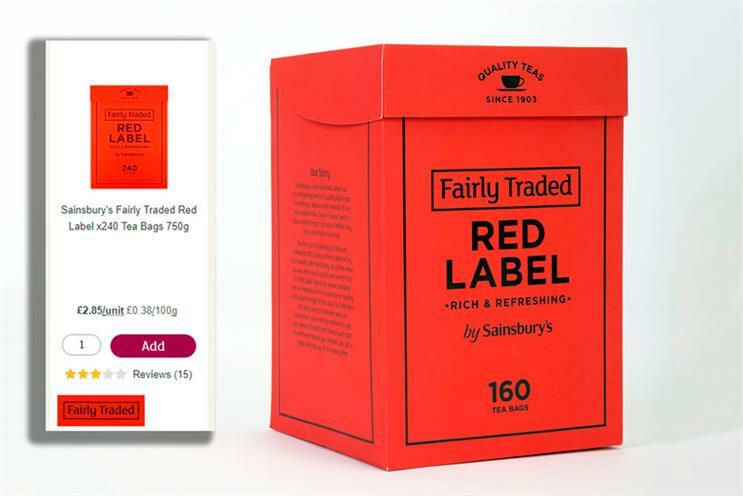 Sainsbury’s is piloting the scheme on some of its own-brand tea ranges, and the complaint centred on how these products were advertised on the Sainsbury’s online shopping website. The Walthamstow MP went to the Advertising Standards Authority out of concern that the claim "Fairly Traded" firstly misleadingly implied a connection to the Fairtrade scheme, and secondly, misled consumers in regards to the ethical standards applied to the products. Sainsbury’s, which made big claims that its scheme would support sustainability and farmers, said in a statement that it was "pleased" that the ASA decided in its favour on the second count, for which the supermarket issued a detailed defence. In explaining its decision the ASA said consumers might not have detailed understanding of how fair-trade schemes work, but were likley to assume they involved ensuring fair prices were paid to producers and standards of working conditions were adhered to. It accepted the evidence that Sainsbury’s scheme had a system in place for ensuring those things. However, the ASA ruled against the supermarket on the first count of misleadingly implying a connection to the separate Fairtrade scheme, run by the Fairtrade Foundation. The ruling does not cover the product packaging, which is outside the ASA’s remit, but the way the product was listed on Sainsbury’s own website. The ASA decided the listing did not make it sufficiently clear that ‘Fairly Traded’ was the name of a separate scheme run by Sainsbury’s rather than a category description, so it was likely to cause confusion for consumers who might not know about the existence of alternative schemes to Fairtrade. This was despite the Fairly Traded logo at the bottom of the listing being clickable to link through to more information about the scheme. The ASA said it was not clear enough that the logo was clickable. A Sainsbury’s spokesperson said the supermarket had updated its listings, removing the logo, to reflect the ASA’s concern.